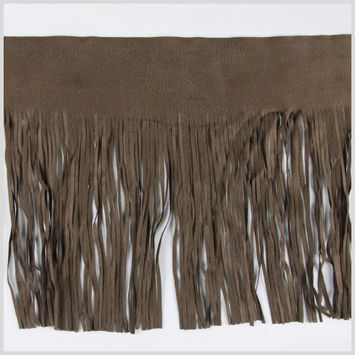 From Suede Fringe jackets and vests to boots, suede is an integral part of the bohemian-chic style. 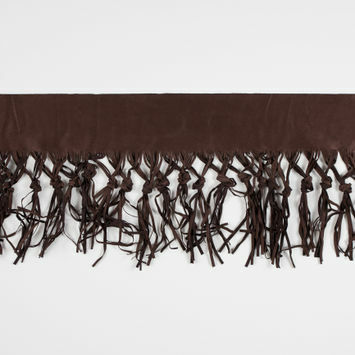 Suede is a type of leather made from the underside of an animal hide, which has a napped finish and tends to be softer and more delicate than regular leather. 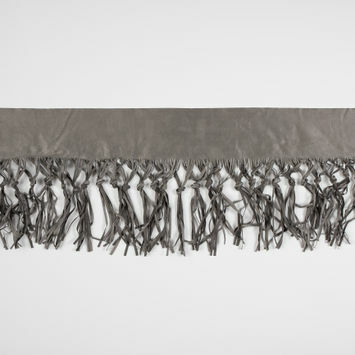 The term suede comes from the French term "gants de Suede", which translates to "gloves from Sweden." 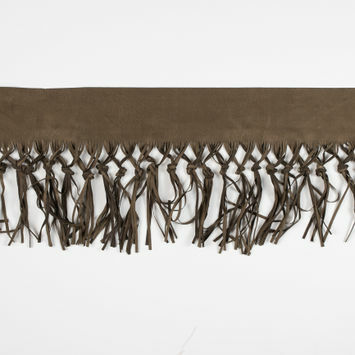 This is because suede was originally used to make gloves, although these days it can be fashioned into shoes, bags, garments, and upholstery. 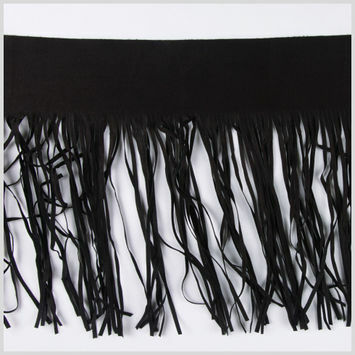 Suede is also used as a lining for many leather products. 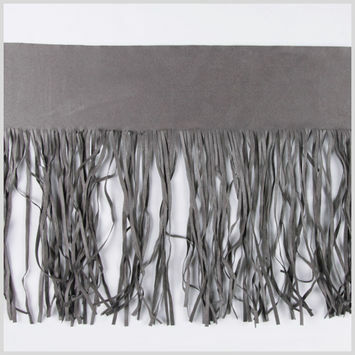 Suede is most commonly made from lamb, although goat, deer, and calf are often used instead. 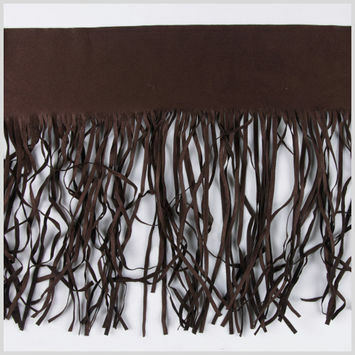 Faux suede is a great alternative to those who don't want to use authentic suede products. 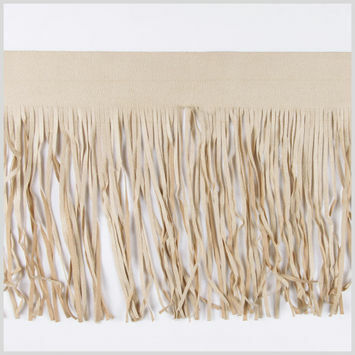 At home, suede fringe can be utilized on throw pillows, and rugs, while suede fringe pencil skirts or purses are also an excellent use of this pliable fabric. 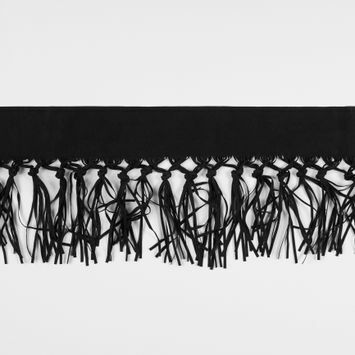 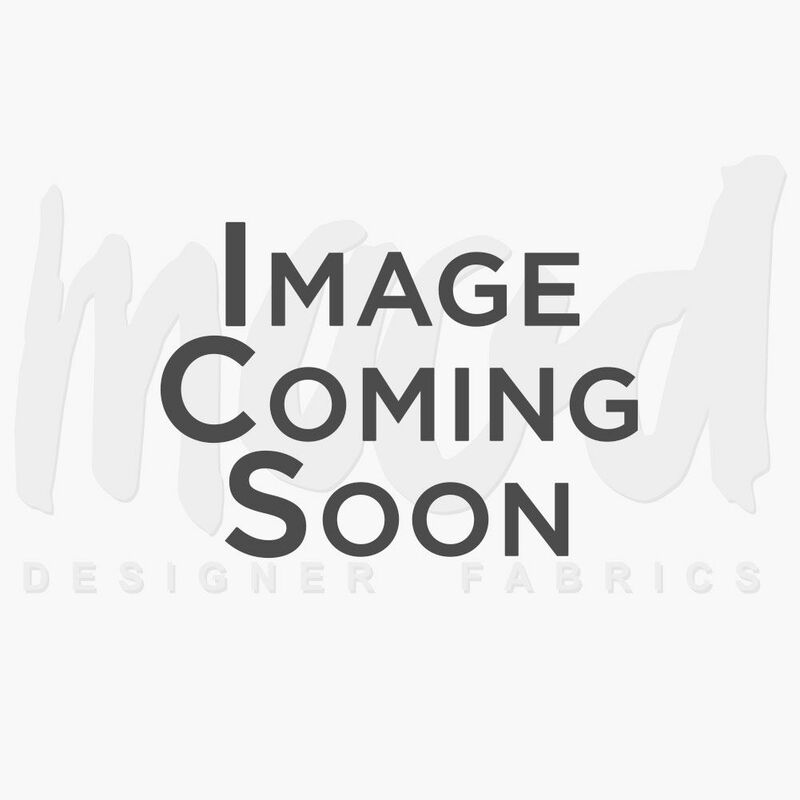 Italian Beige Suede Fringe with Knots - 8.5"
Italian Dark Brown Suede Fringe with Knots - 8.5"
Italian Gray Suede Fringe with Knots 8.5"
Italian Black Suede Fringe with Knots - 8.5"